Christian children in Sudan’s refugee camps are not receiving food unless they say Islamic prayers, according to reports received by sources close to Catholic charity Aid to the Church in Need. A contact, who asked to remain anonymous for security reasons, described how Christian refugees from South Sudan are “in a terrible situation” in refugee camps in Sudan. The source, who estimates that 700,000 South Sudanese Christians are refugees in Sudan, added: “The majority are left in camps, some in a very terrible situation. ACN also received reports that it is hard for refugee families to survive on food provided by the government. A monthly food parcel for a family lasts little more than two weeks – leading parents to seek provisions in the local market. ACN was told items provided by the UN are sold in the market – many still in wrappers marked with UNICEF or UNHCR logos. 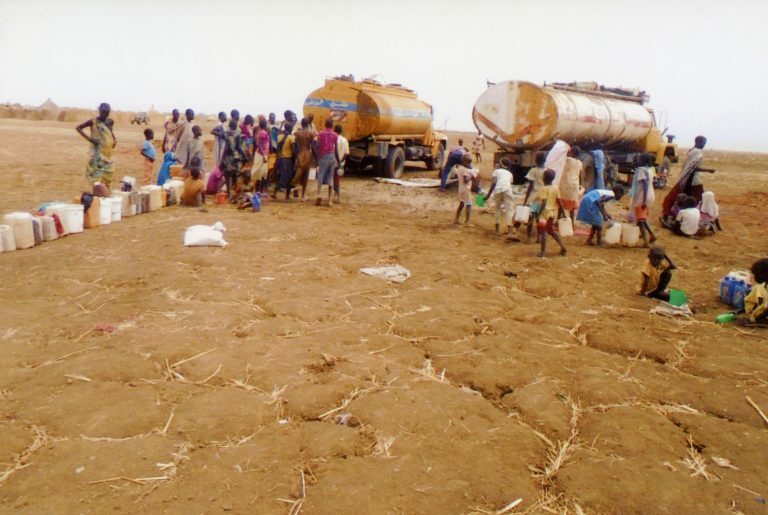 The charity’s source went on to say that the Khartoum government has hampered charities seeking to provide urgent assistance to the camps, preventing them from overseeing emergency help. He said: “We have heard the story that the government does not allow any other agencies to give support including the Church agencies. “The government knows very well that the Church is the body in the world that supports enormously the needy around the world. He said he identifies with the suffering families especially as he was a refugee as a boy. Describing people being forced to leave their country, he compared refugees to the young Jesus Christ who fled with his parents to Egypt as a child, adding: “We call on humanity to have heart [for] refugees. “Refugees should be given genuine respect, dignity and their rights should be respected. The source’s comments come amid reports of increasing persecution against Christians in Sudan with the regime reportedly intensifying its Islamising agenda. Reports also note that Church leaders are increasingly concerned about Sudan’s intolerance aimed at Christian women. In June 2015, 12 Christian women were arrested as they left a church for wearing trousers or skirts which were seen as “indecent or immoral dress”.